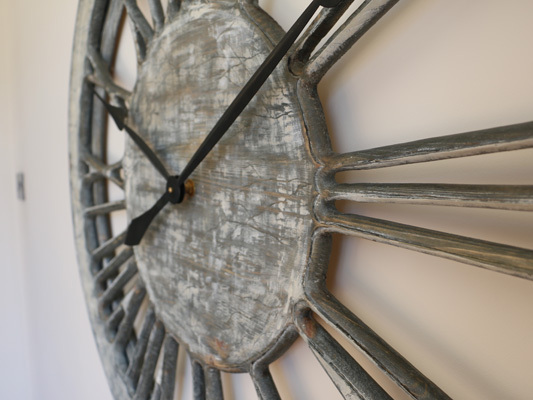 Our white shabby chic timepiece is handmade from a large panel of sustainably sourced pine wood. Its is beautifully hand painted to add uniqueness and character. 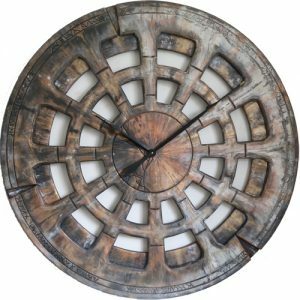 The most stunning three dimensional clock face is displaying hand crafted Roman Numerals on a wooden rustic frame. 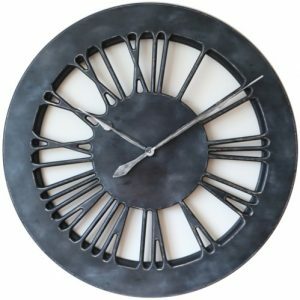 With a total diameter of 75-120 cm and its unique contemporary design, this white shabby chic clock will look amazing on any wall. 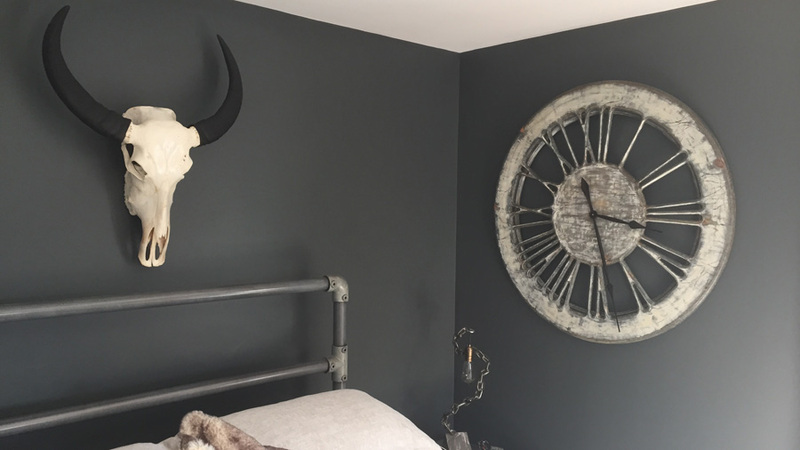 Are you struggling to fill that awkward empty wall space in your living room with something that would be both eye catching and functional? 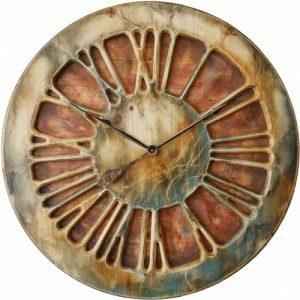 This fabulous timepiece you can see here may be just what you need! The Peak Art’s white shabby chic clock is designed to be a giant centrepiece in your home surroundings. 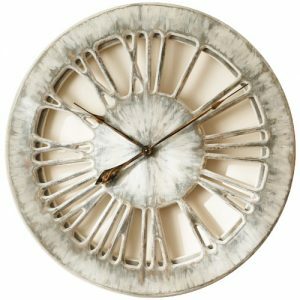 It will provide stunning decoration element and inspire many conversations around the table. 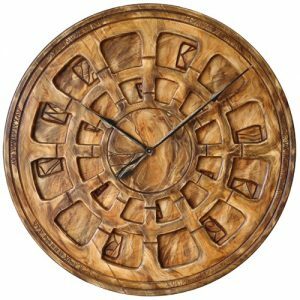 We cut out the face of this breathtaking clock from a single panel of pine wood. This adds extraordinary natural character. 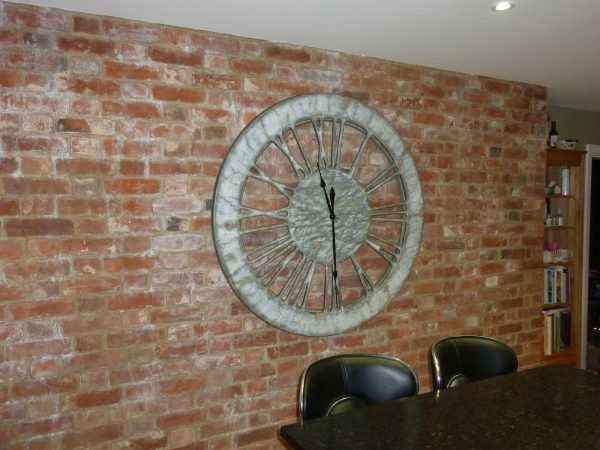 Also, at the back of it you can see a narrow circular rim giving substantial, three dimensional appearance. 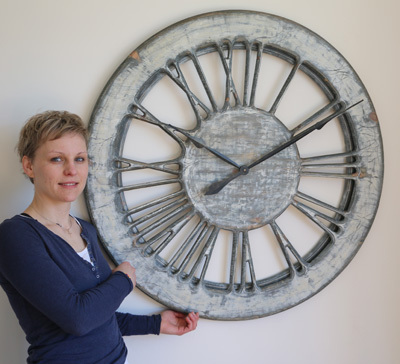 Thinking about shabby chic clock from Peak Art? 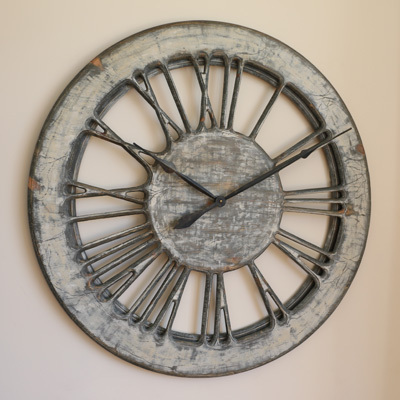 If you are looking for more information about the history of Peak Art large shabby chic wall clocks please visit our blog section and leave your feedback or comments. 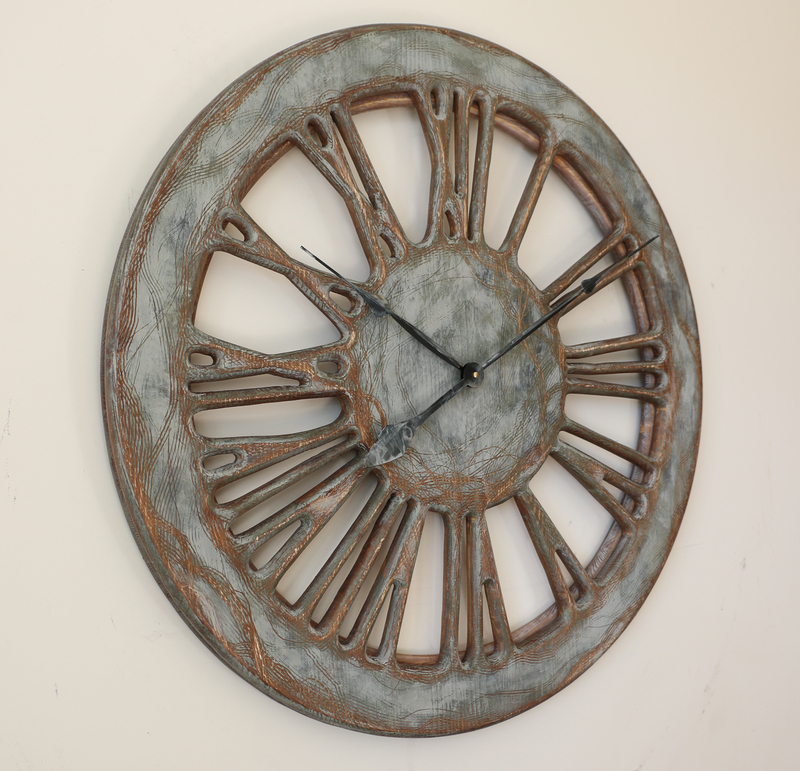 Our clocks are expensive pieces of art that will come to your mind when you start revamping your interiors. You can mount them in your home, office, hotel or penthouse apartment. Keep in mind to avoid direct heat or moisture sources. 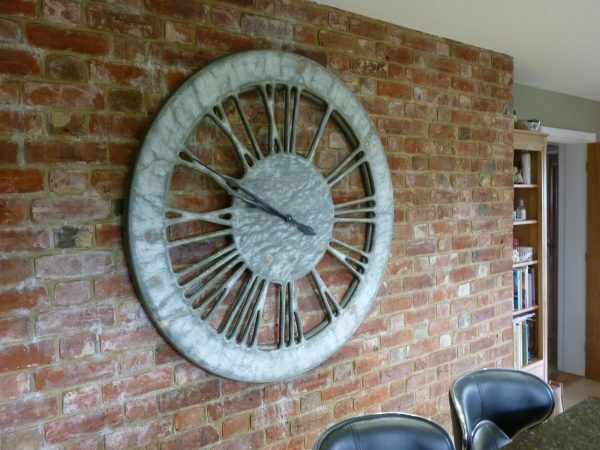 Wherever you decide to place one of those remarkable timepieces you can be confident they will provide strong and lasting “wow” effect on everyone coming across them. 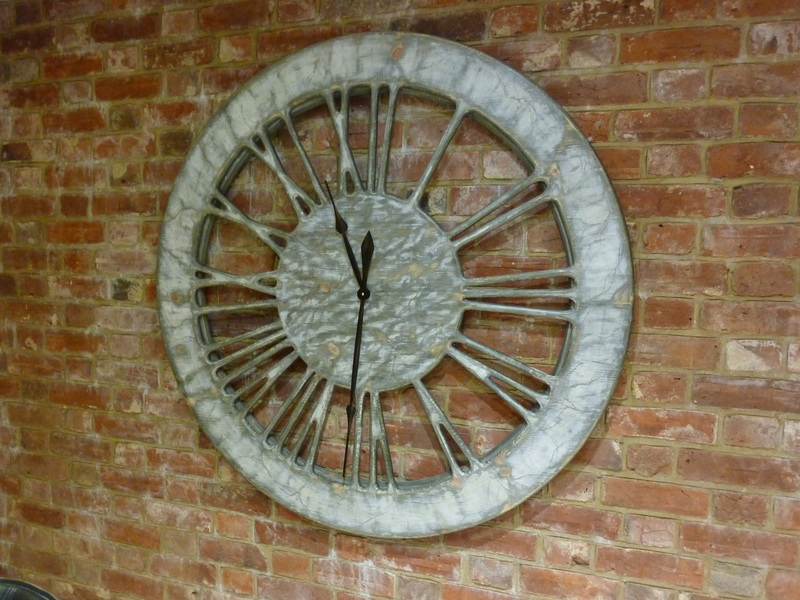 It doesn’t matter if you chose this white shabby chic clock or another timepiece. 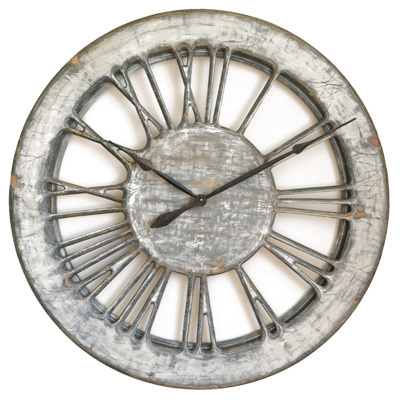 Those rare handmade products will blend well in most stylish interiors. They will make you the proud owner of something that can’t be bought in a shop window. 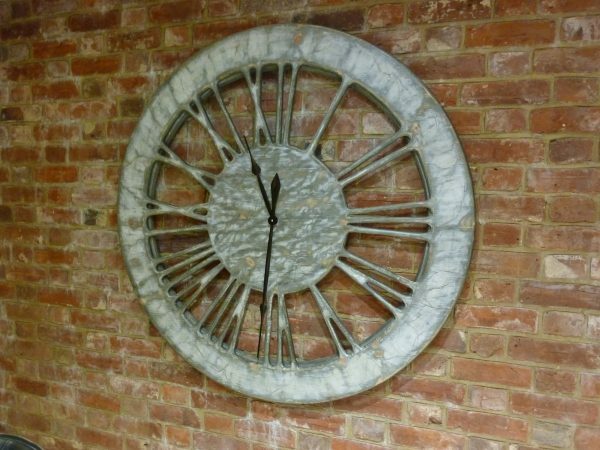 Although the picture you see shows the white shabby chic clock with 100 cm (40″) diameter we can offer two other sizes to choose from. Please let us know if you have any questions.